When you are confronted with an immigration problem, you quickly become aware of how complicated United States immigration law can be. At the Long Island Immigration Law firm of Masini Law Group our attorneys provide effective immigration services to Long Island residents. 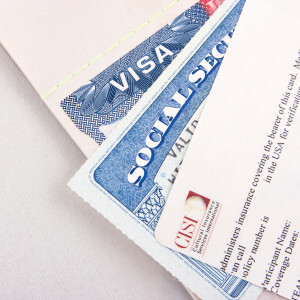 Whether you seek a green card or a visa to stay in the U.S. temporarily, our experienced Long Island Immigration Lawyers can provide you with the education and assistance you need to quickly resolve your immigration issue, with a minimum of stress, all at a reasonable cost. How Can an Undocumented Immigrant Become Legal? Today in the United States, there are approximately 11 million undocumented immigrants. An Undocumented Immigrant is an individual who is living here in United States without permission from the United States Government. That person arrives in United States either bypassing the border protection areas in in the South West or other areas. If they are minor and left their home, or one of their parents has abandoned them, they can seek what is called a special juvenile immigration status. Other individuals, if they have been here less than a year, can apply for asylum. Certain individuals, if they are females if they have been subject to federal human trafficking violations, can apply for protection under the Violence Against Women Act. If you have a question about how undocumented immigrants become legal, contact our experienced Long Island Immigration Lawyers. What is Family Sponsored Immigration? As Long Island Immigration Lawyers, we know that family sponsored immigration is the most common mechanism today to get family members into the United States, and Long Island. If you are a US citizen, and you have relatives abroad, you can use a family based petition to get your immediate family into the United States. If you are a lawful permanent resident, a green card holder, but not a US citizen, you can apply for the same advantages as a US citizen to bring family members here into the United States lawfully. If you have a question about family sponsored immigration, contact our experienced Long Island Immigration Lawyers. What Is a Notice of Deportation? As Long Island Immigration Lawyers we often get asked about Notices of Deportation. If someone receives a notice of deportation that means the department of homeland security has put that individual into call removal proceedings. Deportation is now referred to as an act of removal. That means you are in court before an immigration judge facing deportation, unless you can show some form of relief as to why the Government should not deport you. If you have questions about a notice of deportation, contact our experienced Long Island Immigration Lawyers. Check out our Immigration video vault to get more information and help from our experienced Long Island Immigration Lawyers. Our Long Island Immigration Lawyers have an in-depth knowledge of all aspects of immigration laws, and are attentive and informative to our clients’ needs throughout the entire process. Hire an experienced attorney that cares about you. Our Long Island Immigration Lawyers are dedicated to getting you the best possible legal outcome, all at a reasonable cost. Call (516) 513-5200 to speak with one of our experienced Long Island Immigration Lawyers.